We found 8 episodes of DC Comics News Podcast Network with the tag “suicide squad”. Welcome back to the DC Comics News Podcast! On this week's episode, Steve J Ray hosts as he chats with Brad Filicky, Joseph Marcas, and Seth Singleton about all the happenings in the world of DC. Whether it's Aquaman 2 news, the likelihood of a new Constantine series, or the future of the DCEU, they talk about it all! DCN Podcast - Episode 6: 'Joker' First Look, DC Universe Launch, Henry Cavill Controversy, and more! In this episode, DCN Editor-in-Chief Josh Raynor discusses the launch of the new DC Universe streaming service, the Henry Cavill/Superman controversy, out first look at Joaquin Phoenix's Joker, and much, much more. Welcome to the official DC Comics New podcast! 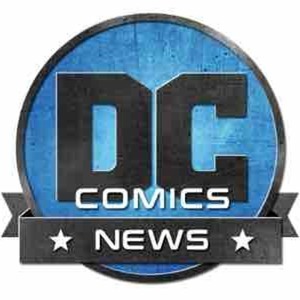 Join DCN's Editor-in-Chief, Josh Raynor, as he discusses all things in the world of DC Comics, from movies, to television, and of course, comic books!